Seljax is fast and easy to use! 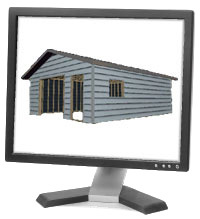 Seljax is a versatile program that provides the ability to design multiple structures from the Stud Frame building and to visualize it. Seljax provides you with a fulfilled experience in creating your ultimate Stud Frame.